Hi Mark Industrial Inc makes sure your staff is safe with our combustion safety training. 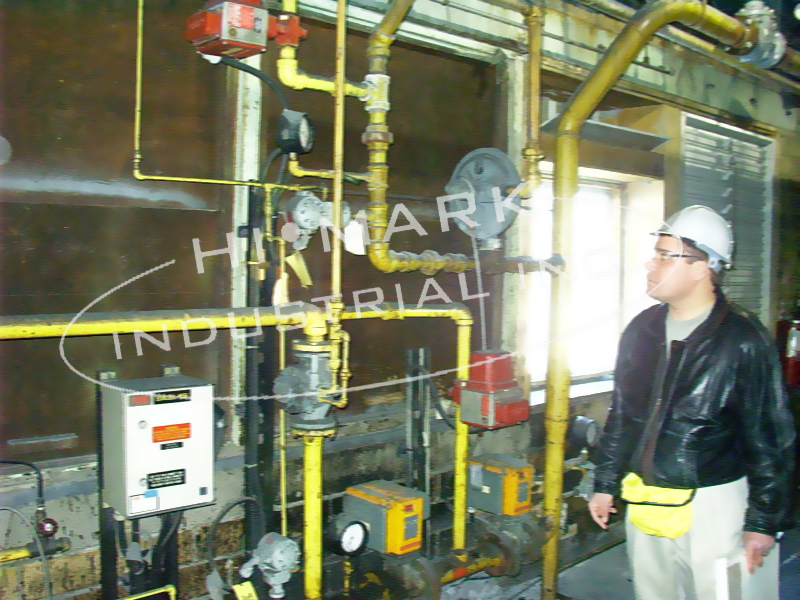 The National Code requires Combustion Equipment Safety Controls to be tested and inspected annually. 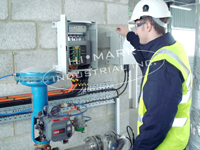 Our inspection routine tests each safety to ensure function and compliance with the national code. We exceed the required National and Manufacturer's suggested testing requirements and include preventative and predictive measures that will keep your equipment and staff safe, efficient and reliable for years to come. Combustion equipment safety inspections are a national requirement in all countries. But the importance of having a third party combustion safety inspection goes far beyond satisfying government and insurance requirements. By having your combustion equipment inspected regularly you may prevent explosions/fires, reduce downtime, save money on fuel and electricity costs and increase the life span of your equipment. Hi Mark Industrial offers combustion equipment inspection service and support. All of our inspection routines are in full compliance with all jurisdictions requirements and guidelines. Our '100 point' inspection checklist exceeds all government requirements and covers all aspects of your equipments component functions. Each and every component on your system will be tested to ensure that it is functioning properly, efficiently and safely. Our inspection experts have inspected thousands of appliances over many years in several countries. We have considerable experience on many different equipment and fuel types from numerous industries. Your plant will be given a full third part combustion system equipment inspection report (electronic and hardcopy). If any situation found can be rectified immediately, it will be done with the assistance of your skilled trade staff. Anything found not in compliance that cannot be rectified on the spot will be brought to the attention of plant management and listed on our report. Each item on the report that isn't in compliance will be divided into a "Highly Critical, Critical and Concerning" category. We will help your staff to correct any deficiency found by any means needed. Hi Mark Industrial will look at key items that affect your equipments performance and product quality. Code Compliance – Our combustion audit will include a review of relevant codes relating to the equipment examined including CSA, ASME, NFPA, OSHA, ANSI, NEC, and any applicable national standards. Operational Issues – Human error is the #1 killer when it comes to gas‐fired equipment accidents. Assessments include applicable staff certification requirements, current and past training programs and maintenance procedures. Installation Issues – In some cases, equipment safety is compromised from the first day of installation. Our inspection will certify that everything that has been installed is in compliance will all industry and government codes and standards. Technological Advances – Many facilities have pieces of equipment that have been in operation for many years. If applicable our staff will make recommendations that will increase productivity, save money on fuel and electricity costs, extend the life span of the equipment, improve safety, reduce emissions and bring your plant up to current standards. If you have deficiencies or code issues that need to be corrected, we can support you in many ways. From supervising your skilled trade staff while they make the changes and upgrades. Having our certified technicians perform the work, or setting up a maintenance routine for your staff to follow in the future. 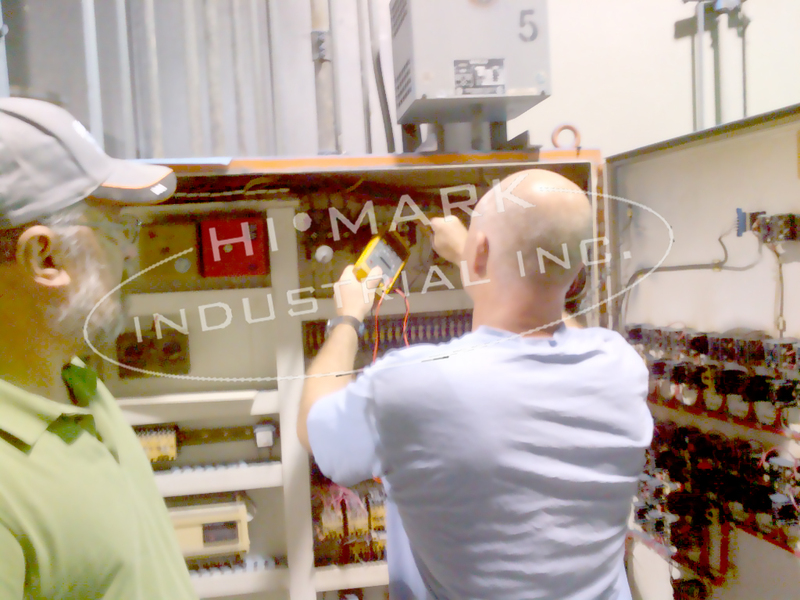 Copyright © Hi Mark Industrial Inc., 2015. All rights reserved.